We always rent a golf cart for our time on the island. It is so nice to jump on the golf cart and take a spin around town. We are so happy that you enjoyed your stay at The Commons and that you were able to take advantage of the golf cart special promotion. We hope to see you again soon! Thank you for the review. We love 19 la playa! We love this rental! This is the second time we have stayed here. The house is incredibly clean and a perfect location. The staff is excellent. We can't wait to come back. We are so happy that you enjoyed your stay with us, we are looking forward to you visiting again soon. The Golf Cart was a fantastic added addition to our vacation. We cruised all over town and to the beach. Leaving the sand we acquired in Port A and not back home with us. 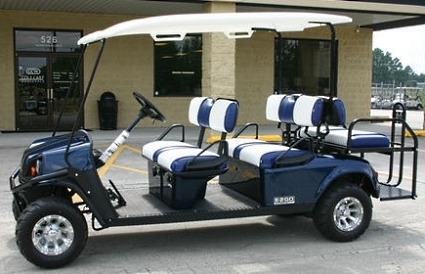 We are glad to hear that you took advantage of our golf cart rentals. We hope to have you back soon! Love the house. Every room was spacious, large living room, & keyless entry. (Didnt need to carry a key). Plenty of covered parking. Great discount on golf cart when you rent thru them. Staff is very friendly and helpful. Highly recommend renting thru Life in Paradise.